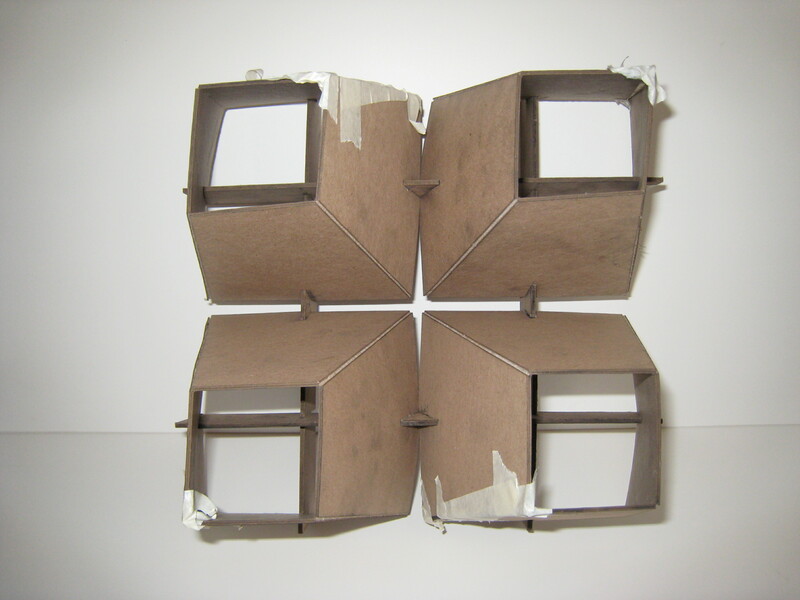 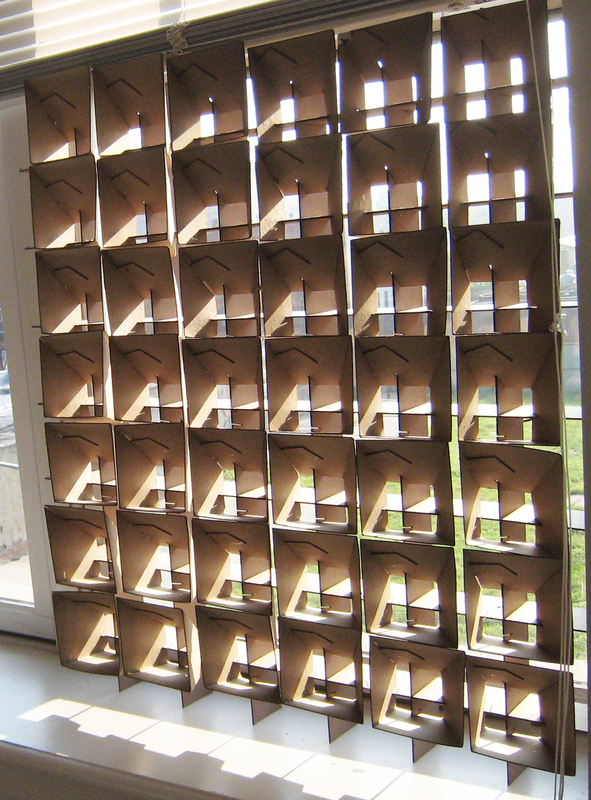 here are pictures of my first model for my light screen. 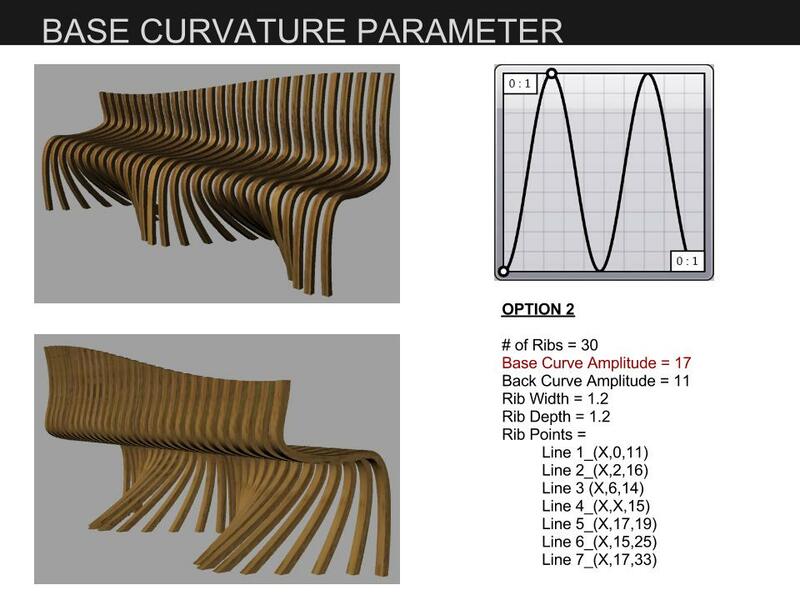 Images of Rendered Benches Cont. 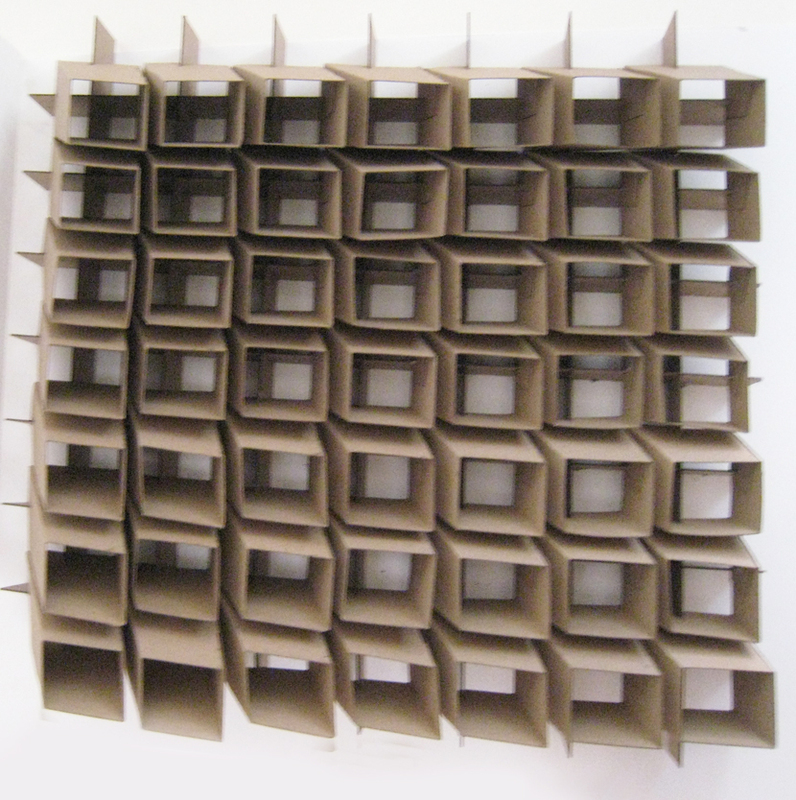 Author sarahberger24Posted on June 21, 2012 Categories BlogLeave a comment on Images of Rendered Benches Cont. 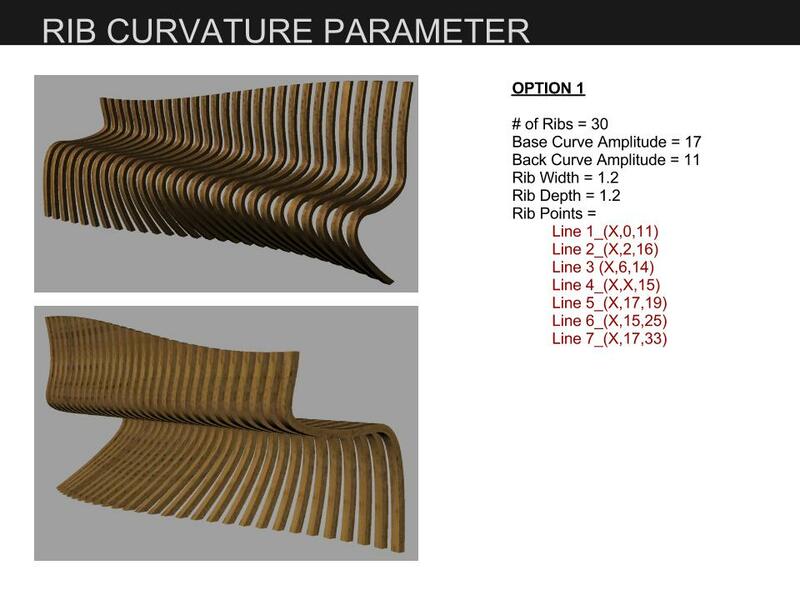 For my bench I wanted to adjust the curvature of the form. 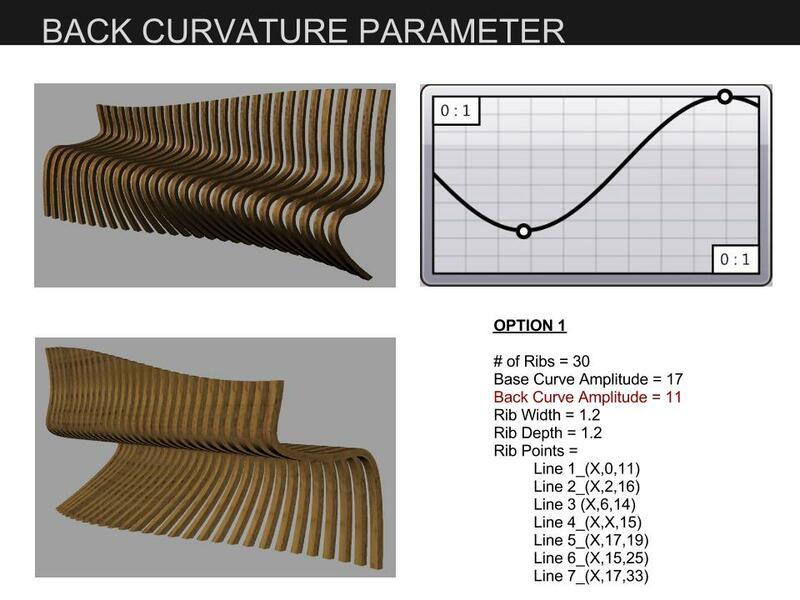 I accomplished this by creating parameters that allowed me to modify the base curve, the back curve, and the shape of the ribs. 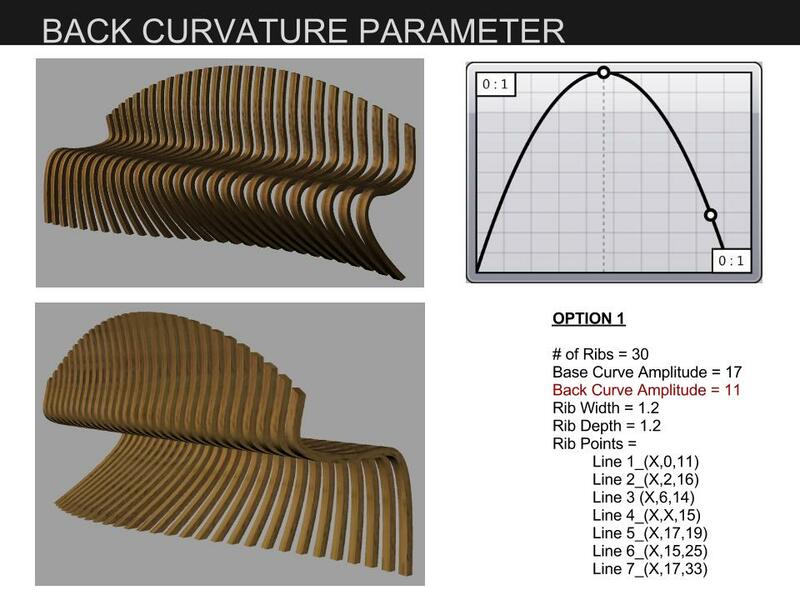 For the base and back curves I used the graph mapper tool to change the shape of the curves. 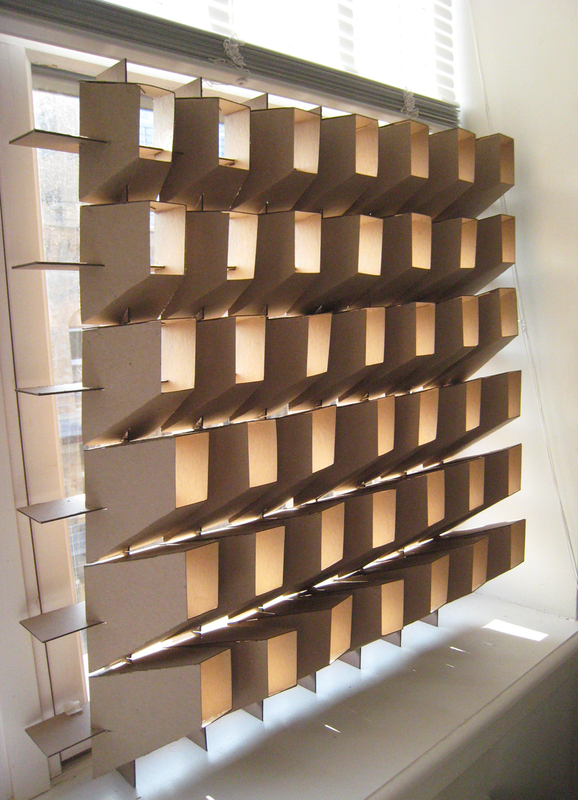 The process I used to build the ribs allowed me to play with the form. 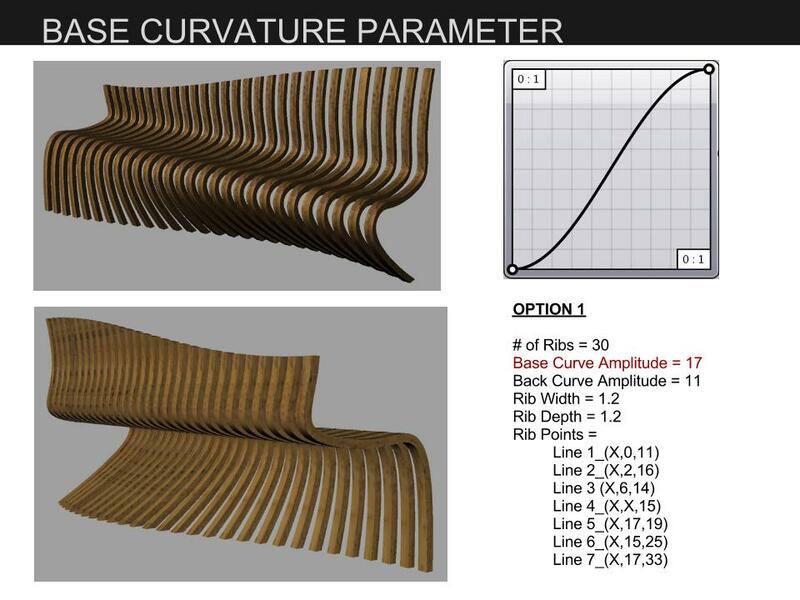 I created points that I drew a curve through to generate the ribs. 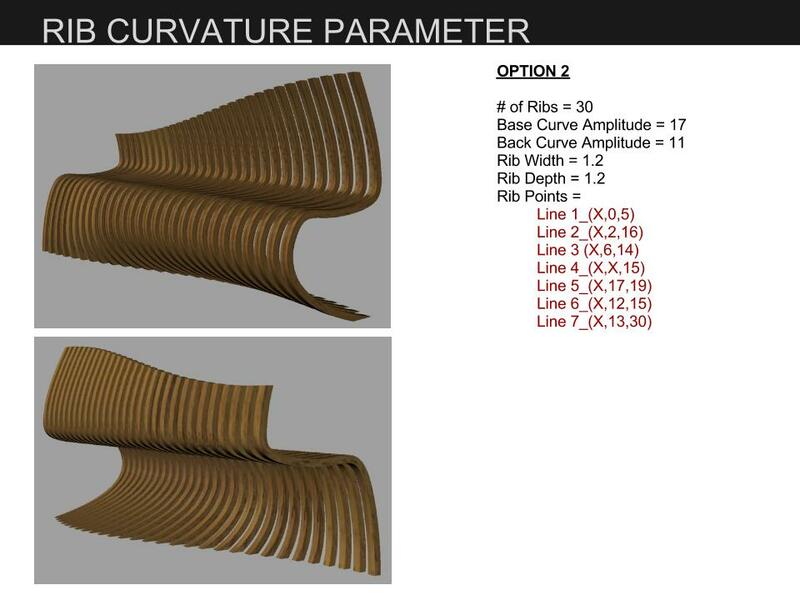 I attached sliders to Y and Z values of the points so the curvature of the ribs could be adjusted. 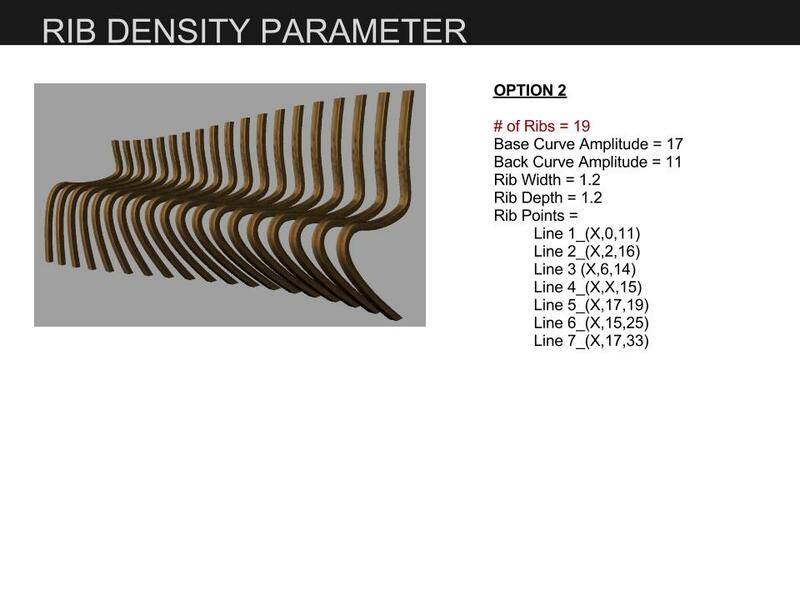 Since my bench is composed of ribs I wanted to play with the density and dimensions of the ribs to further change the look of the bench. 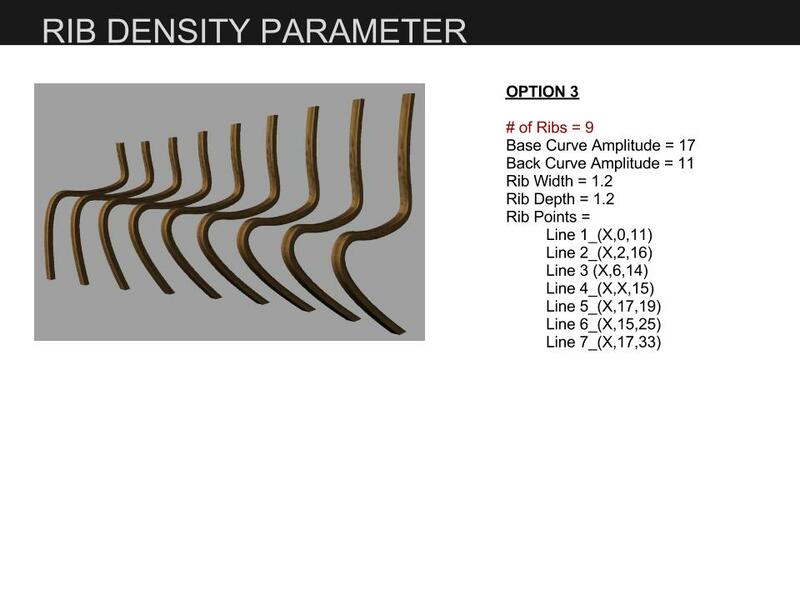 I was able to adjust the number of ribs and the width and depth of the ribs by using sliders. 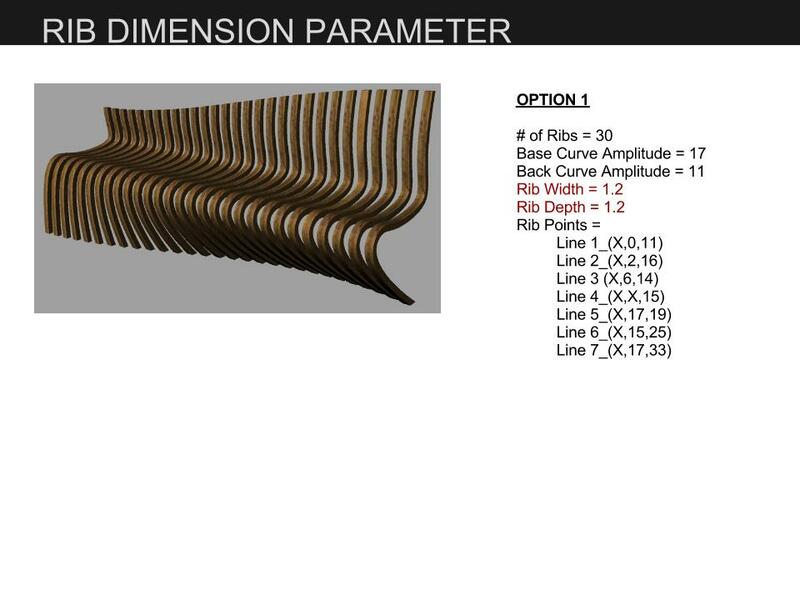 To create the parameter for the number of ribs I first drew a line in Rhino and divided it in Grasshopper. 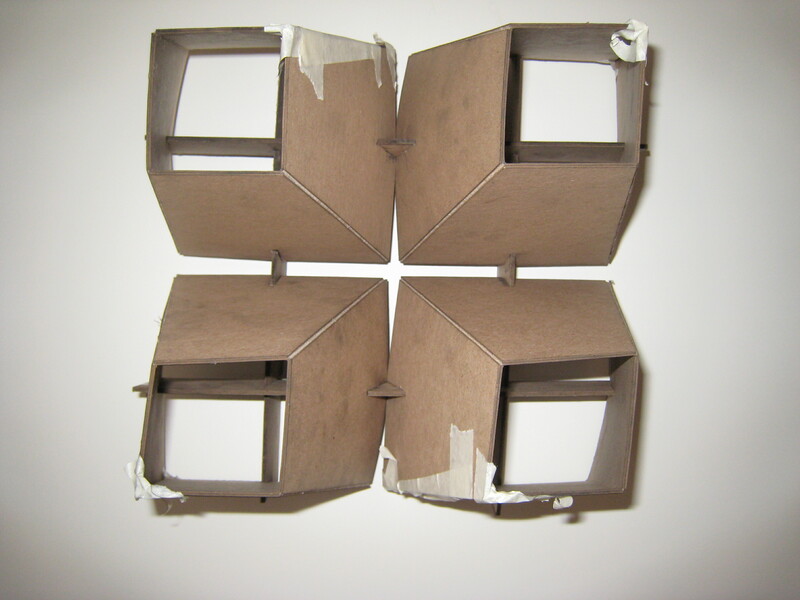 I attached a slider to control the number of divisions. 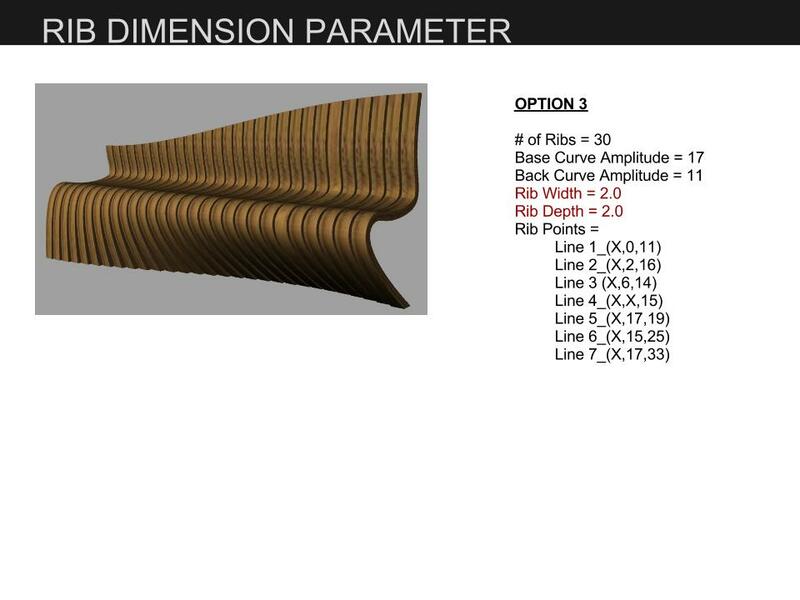 I built the ribs referencing the division points so when I moved the slider to change the number of divisions the number of ribs also changed. 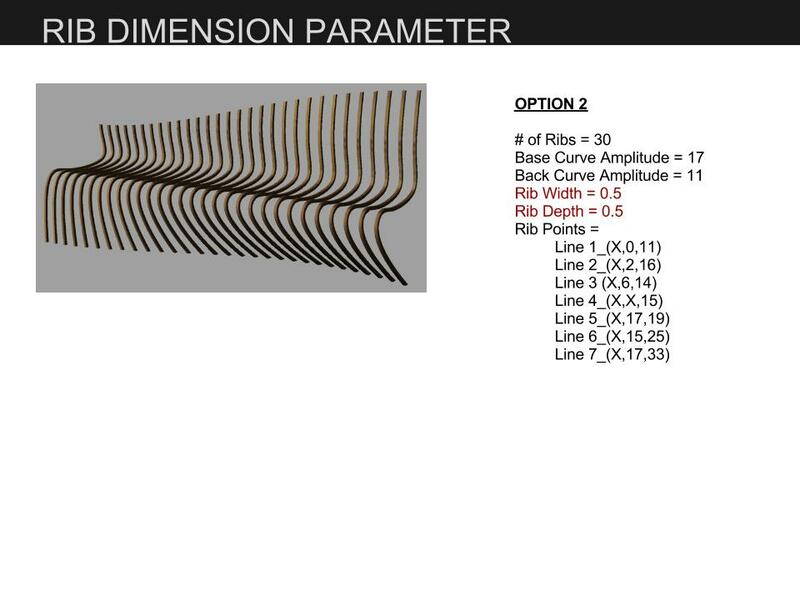 To modify the width and depth of the ribs I used the offsetting tool and attached a slider to it. This video quickly demonstrates how the form of my bench is altered as I modify the parameters I created in Grasshopper.